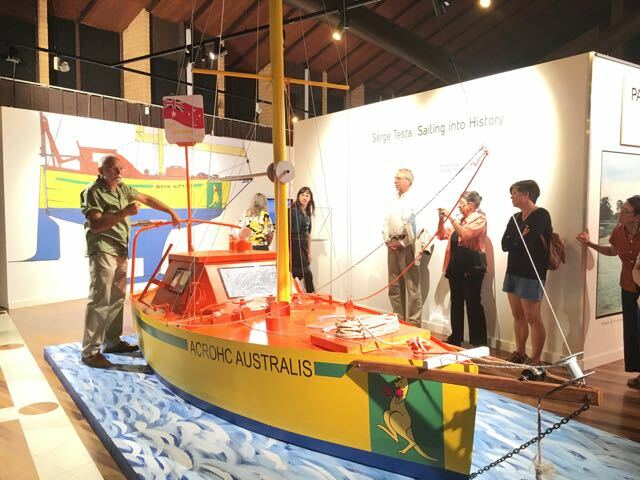 The Redcliffe Museum Exhibition “Sailing Into History” was a great success. In keeping with the theme of breaking records, attendance at Serge’s full presentation about the voyage was the largest ever for the museum, with 148 attendees of all ages who listened attentively and asked many questions. Sales of Serge’s book, 500 Days: Around the World on a 12 Foot Yacht, were also brisk and many people took the opportunity to have their book signed.